Welcome Home! This wonderful one level 3 bedroom 2 and a half bath home is ready to move in! Situated in a quiet neighborhood with a large back yard. Inside the home has been updated with fresh carpet and new paint. This home features a living room, spacious den, three bedrooms, a large walk in pantry, and utility room with cabinets, fold out ironing board and a sink. The master features a large bathroom with dual vanities and an over-sized tub shower. The utility room is just off the attached garage. The rear yard features a large patio and over-sized deck. This house will not last long. SchoolsClick map icons below to view information for schools near 7114 Somoa Dr Henrico, VA 23228. Home for sale at 7114 Somoa Dr Henrico, VA 23228. 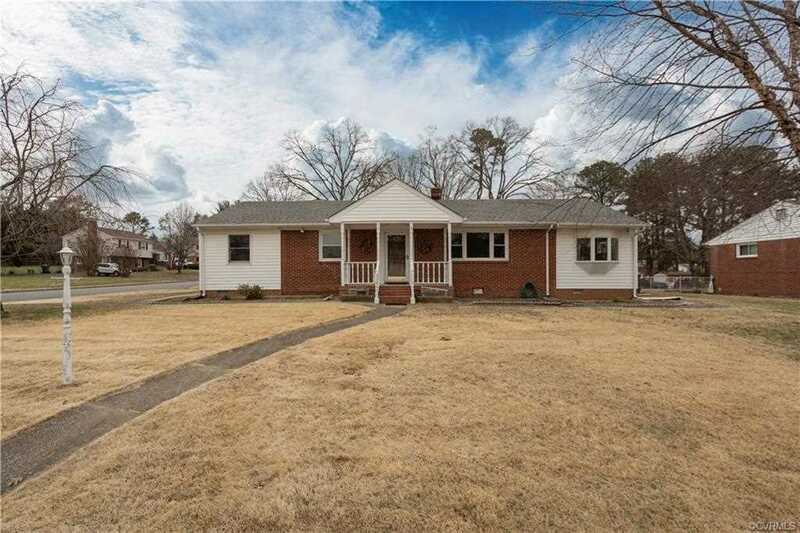 Description: The home at 7114 Somoa Dr Henrico, VA 23228 with the MLS Number 1902976 is currently listed at $214,950 and has been on the Henrico market for 78 days. You are viewing the MLS property details of the home for sale at 7114 Somoa Dr Henrico, VA 23228, which is located in the subdivision, includes 3 bedrooms and 3 bathrooms, and has approximately 1556 sq.ft. of living area.